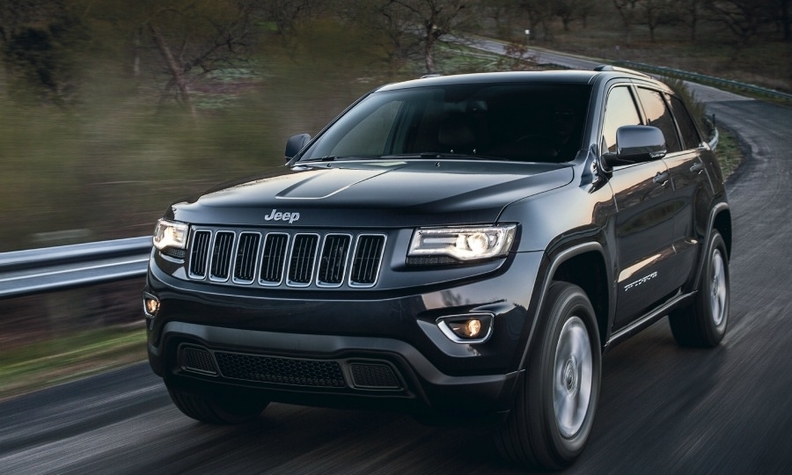 Fiat Chrysler will delay the launch of a redesigned Jeep Grand Cherokee to late 2018 or to 2019 from late 2017. The current model is pictured. DETROIT (Reuters) -- The chief of Fiat Chrysler Automobiles’ Jeep brand, Mike Manley, says a redesign of its Grand Cherokee SUV will be delayed by at least a year, intensifying the challenges FCA CEO Sergio Marchionne faces in his quest for a partner. Manley confirmed FCA's decision to push back the launch of a redesigned Grand Cherokee to late 2018 or to 2019 from late 2017. That delay is one of at least a dozen relating to current or new vehicles in North America. FCA's ability to keep up in an intensifying auto technology race is a critical question for potential merger partners, analysts and industry executives said. Marchionne has reached out to General Motors CEO Mary Barra, proposing a merger. But Barra rebuffed him, saying earlier this month that GM could do better by "merging with ourselves" to improve economies of scale, respond to tougher fuel economy standards and meet consumer demand for digital connectivity and advanced safety features. FCA spent 1.5 percent of its annual revenue on research and development last year, compared with 4.8 percent for Ford Motor and 4.7 percent for GM, according to non-public data shown to Reuters by a source on condition of anonymity. The automaker's North American profit margins last year were 4 percent, roughly half of those reported by GM and Ford. FCA said it plans to boost North American margins to 5.5 percent to 6 percent this year, still below the levels its Detroit rivals are projecting. The world's No. 7 automaker lags its rivals in the race to hit the U.S. fuel economy target of 4.3 liters/100km (54.5 mpg U.S./65.45 mpg UK) by 2025. In 2014, FCA's U.S. fleet averaged 11.1 liters/100km (21.1 mpg U.S./25.34 mpg UK), last among major automakers and nearly 8 miles per gallon behind the leading company, Japan's Mazda Motor Corp.
Gualberto Raineri, FCA's chief spokesman in North America, said the company has been confounding skeptics since Fiat took over management control of Chrysler in 2009. Marchionne has argued that global automakers must consolidate to shoulder the rising costs of investment for new technology. He said on Wednesday that FCA is making "huge progress," but that progress "is costing us."